These brilliant, fun, dome shaped children's umbrellas are an instant hit. They feature a safe opening glide- mechanism to stop little ones trapping fingers. 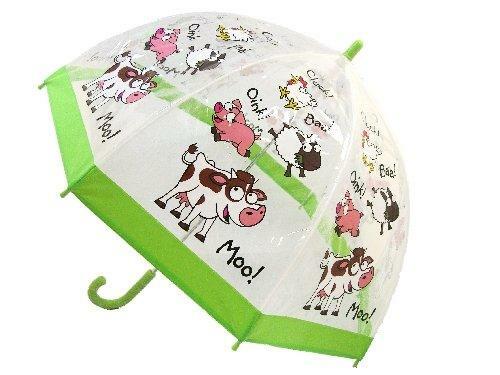 The range consists of bright and happy designs guaranteed to put a smile on anyone’s faces in the wet weather. This range of wonderful Children's Umbrellas has been fully tested to comply with strict European safety regulations. A matching hem, tip and handle complete the design. Construction includes an exclusive runner for easy opening and closing making operation safe for little people. Not suitable for children under 3 years of age. Canopy diameter when open is 65cm and umbrella length when closed 68cm.